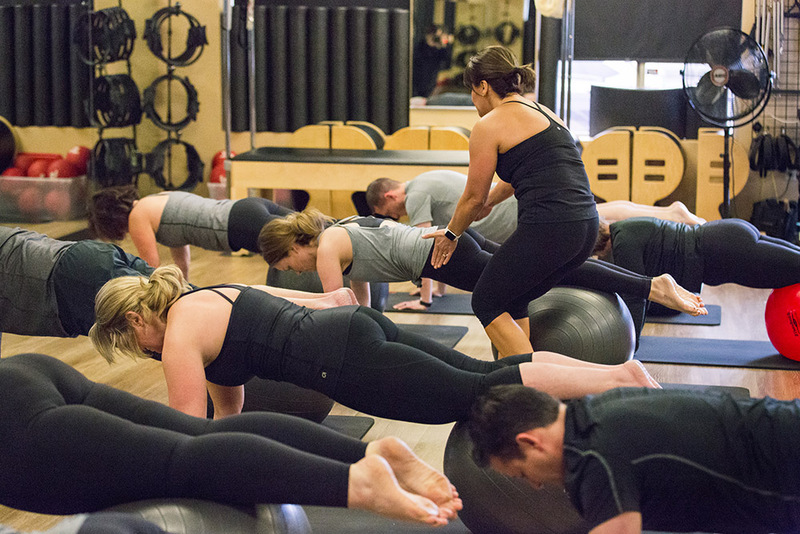 We are proud to offer a variety of classes on a quarterly session schedule. 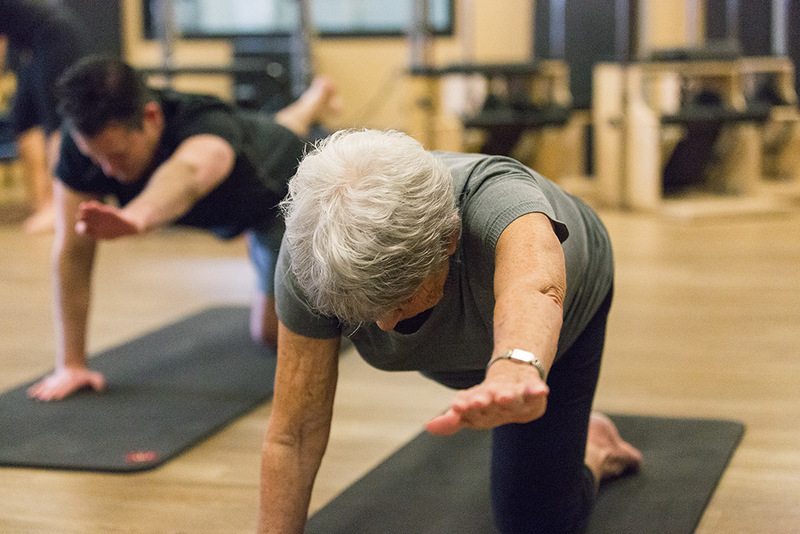 Below are descriptions of all class offerings; please view our Schedule page for Pilates class session dates and pricing. 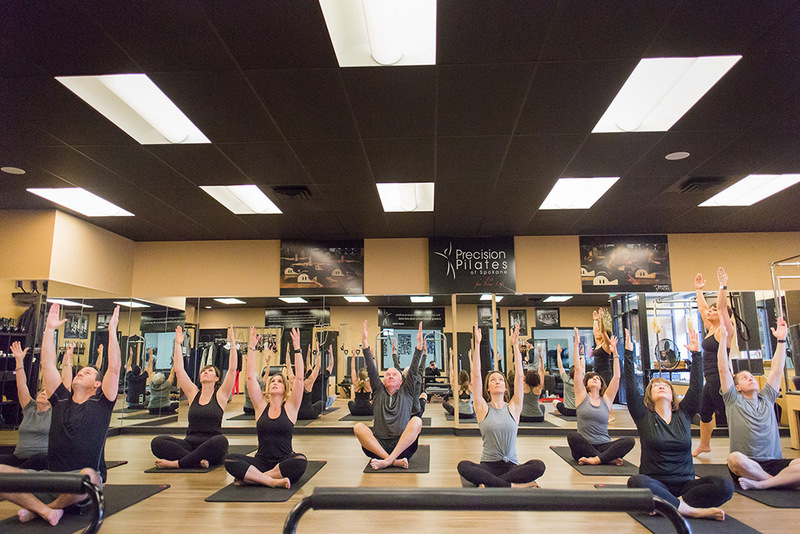 Learn to experience the benefits of Pilates with just you and a mat. Build on what you learned in Basic Pilates. Work on smoother transitions and target deep abdominals. 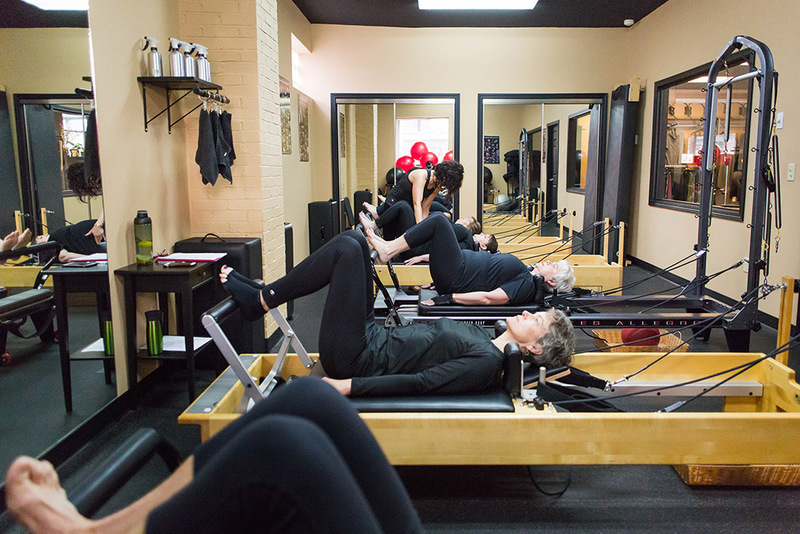 Pilates performed on a reformer, a sliding platform anchored at one end with resistance springs. 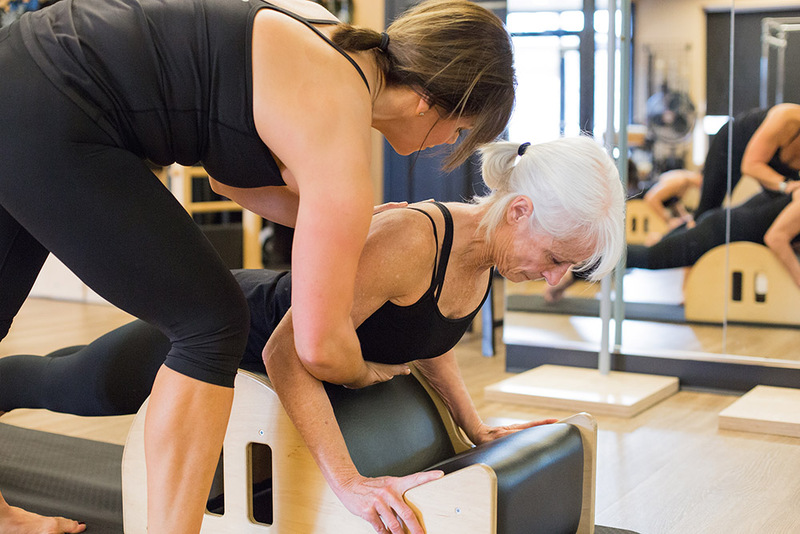 A reformer helps with performing Pilates moves while adding the challenges of resistance and balancing on a moving surface. 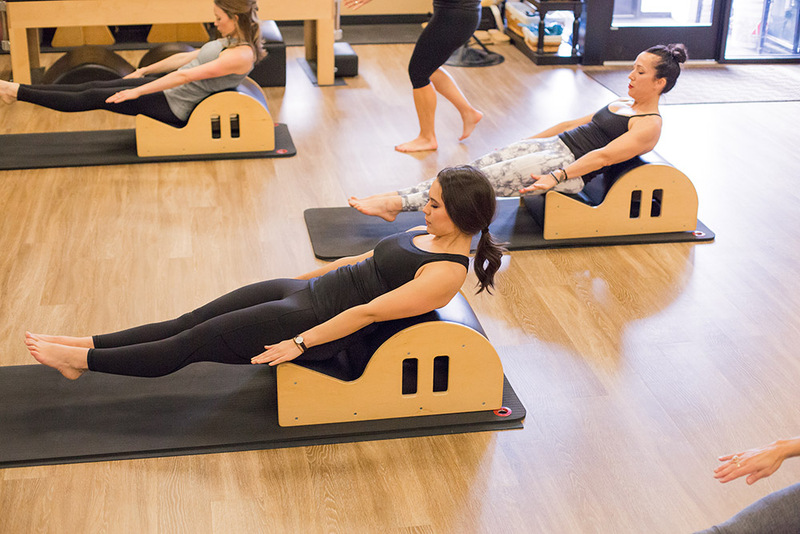 There’s no need to be intimidated by the reformer – we’re always going to teach you how to do everything from the ground up. Correcting the spine? Don’t be mislead by the name of this class – although some may find this class therapeutic, that is not the intention. The small barrel or ‘spine corrector,’ puts your body in a position to focus on your core, your deepest and most intrinsic muscles. A little bit of everything. 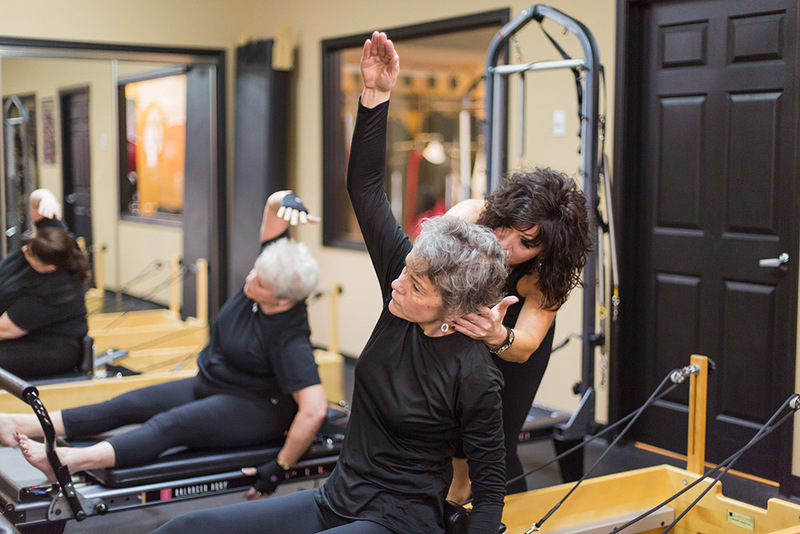 In this class, we warm you up on the spine corrector, work you out on the wunda chair, and finishing with the ped-o-pull to focus on your body’s optimal alignment. 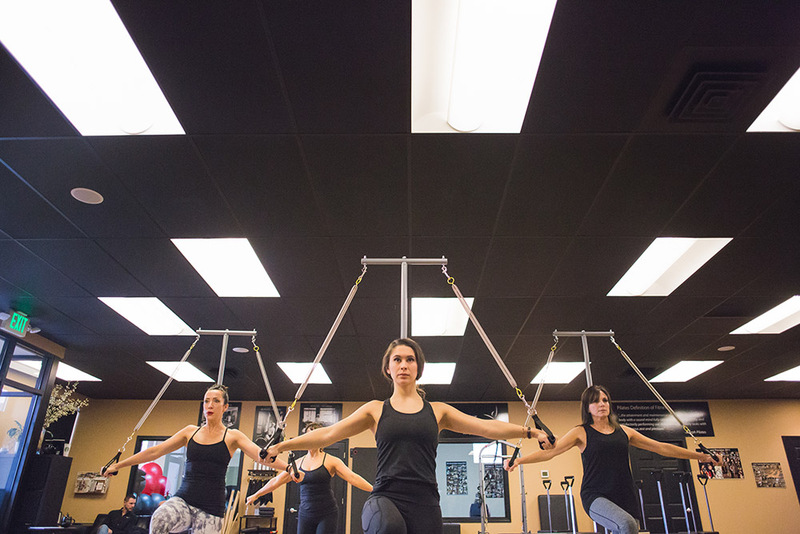 A Pilates workout designed to be safe for most women during pregnancy. Ease discomfort during pregnancy and birthing process by focusing on proper breathing, improving pelvic alignment and control, and strengthening birthing muscles. Increase flexibility and core stabilization. 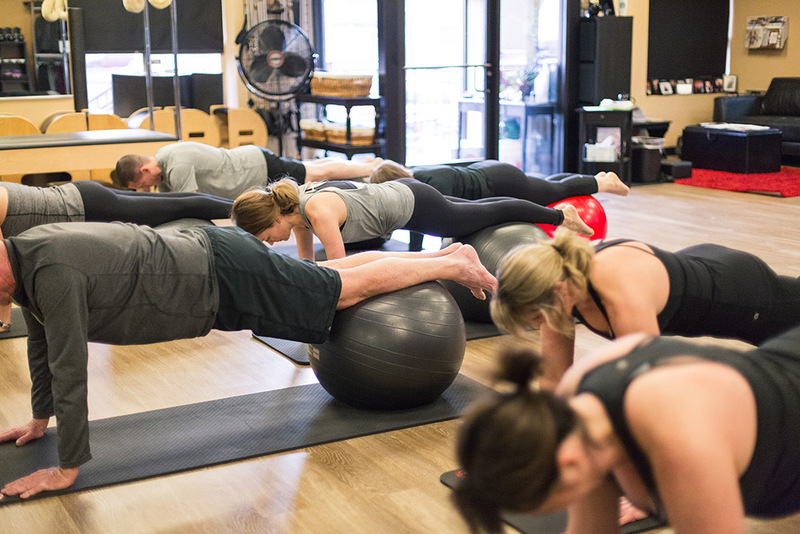 A class promoting strength and development of your core muscle groups, emphasizing stretching the muscles and thereby lengthening them. 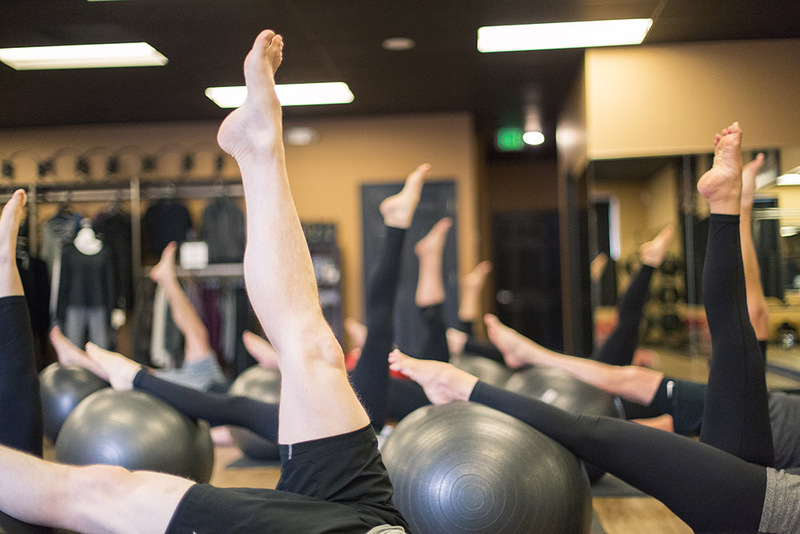 The goal is to create a new experience of synergy in the body through proper stretching and stabilization, all the good – without the strain. Most of our bad body habits begin in childhood. Kids Pilates classes allow your child to develop a Pilates mindfulness at a young age so a powerful awareness becomes second-nature in every activity they do. When kids practice thinking about their body from the inside out, they can perform their chosen sports with better posture, flexibility, balance, and alignment. Kids classes are opened when there are a minimum number of participants interested in joining. If interested, please contact us. View our upcoming session dates to see which class works best for your schedule.